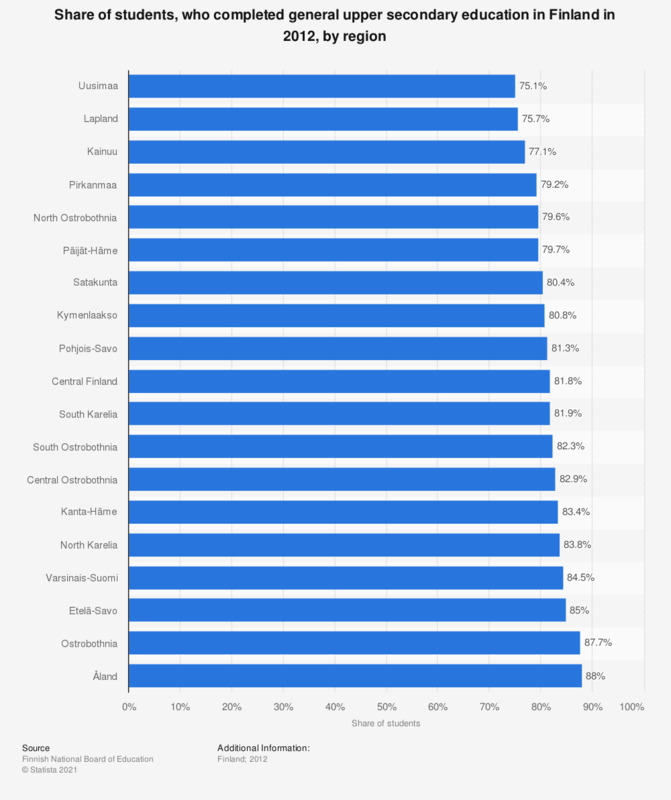 This statistic shows the share of students, who completed general upper secondary education in Finland in 2012, broken down by region of education. The share of students who started general upper secondary education in 2009 and completed it in 2012 was roughly 75.1 percent in the capital region of Uusimaa. The figures represent the completion rate of general upper secondary education students, who started secondary education in 2009. The figures do not represent data for vocational upper secondary education.